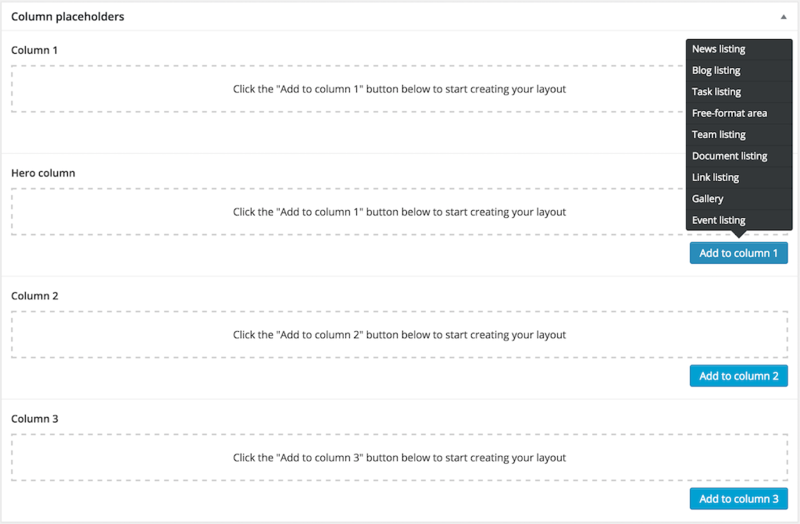 The aggregator template allows you to build custom pages based on the homepage layout of columns. The template was originally designed to showcase teams, and it includes several options for automated listing using taxonomies, tags and teams. Team listings include posts that have a “related team” chosen. Some elements work better in wider columns (column 1 and hero column) such as the gallery.